Air conditioning is probably the greatest thing invented since sliced bread. It’s a luxury that allows us to feel cool and comfortable in our home or office. Air conditioning in your office has a number of benefits such as reduction in humidity, keeping pollen and allergens out of the building as well as sustaining temperatures at optimal comfort levels. If you are looking to replace an A/C unit or invest in a new system, there are some factors that need to be considered such as the size of your office space and the natural temperatures of the environment. 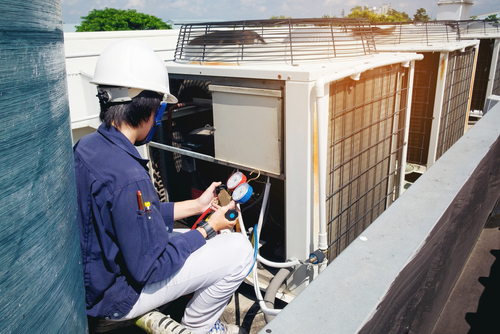 The following are the most common types of air conditioning units that are on the market today. You can talk to a professional in the HVAC industry to find out which one may be best for your office. This is the most common type of units for apartments or single-room use. If you have a home office or a very small office, like John Scherillo, a window unit air conditioner will probably serve you best. You don’t need a professional to install a window unit. It is easily installed through the opening of your office window. Most units can be purchased at your local hardware or electronics store. Before purchasing a window unit, make sure you ask questions and read labels to find the most energy efficient unit. An energy efficient offers the most cost effective benefits. The split unit is made up of two different units where one is outdoor, and one is indoor. Unlike a traditional unit, the split air conditioning unit is ductless and can deliver air directly into different zones in the office. Split units are very easy to install and do not require a window. A split unit simply gets mounted anywhere you would like, as long as there is an electrical outlet nearby. A split unit is a great choice if you don’t have a lot of space and one to two rooms can be cooled at the same time. You can purchase a split unit air conditioner at your local hardware or electronics store. Packaged terminal air conditioners are similar to centralized air conditioning units. The only difference is that is it used for smaller air capacities up to 5 tons whereas a central air unit is used for any space above 20 tons. 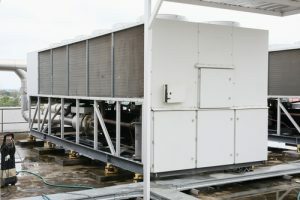 Packaged terminal air conditioning units are good for spaces with at least two rooms or larger office spaces, seeing hotel PTACs is very common. 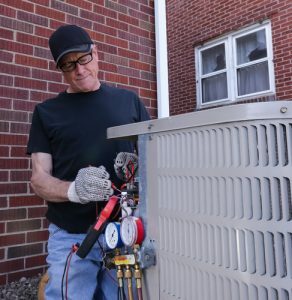 A packaged terminal air conditioning unit should be installed by a professional HVAC technician. Consult with an HVAC company to find out if a packaged terminal air conditioner would be best suited for your office as opposed to a centralized unit, or contact a nyc ptac replacement company if you know what you’re looking for and just need a new unit installed..
Central air systems are best suited for larger buildings and offices. 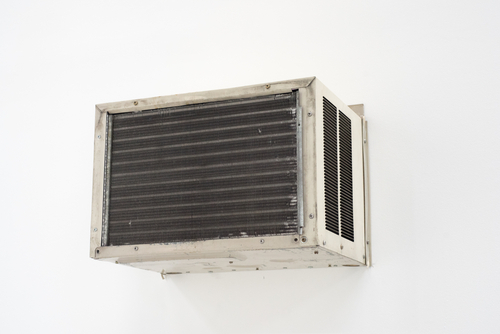 A central air conditioning unit typically has a vent installed in every room of an office or building. A central air system can be purchased from your local hardware or electronics store. A central air system requires duct work so an HVAC professional should be hired to do the installation. A central unit has a very large compressor so it can provide enormous amounts of air inside an entire building or office. Before purchasing a unit, you want to make sure that it is energy efficient. A professional HVAC technician will be able to guide you through the selection process and help you choose a unit that is best for you.